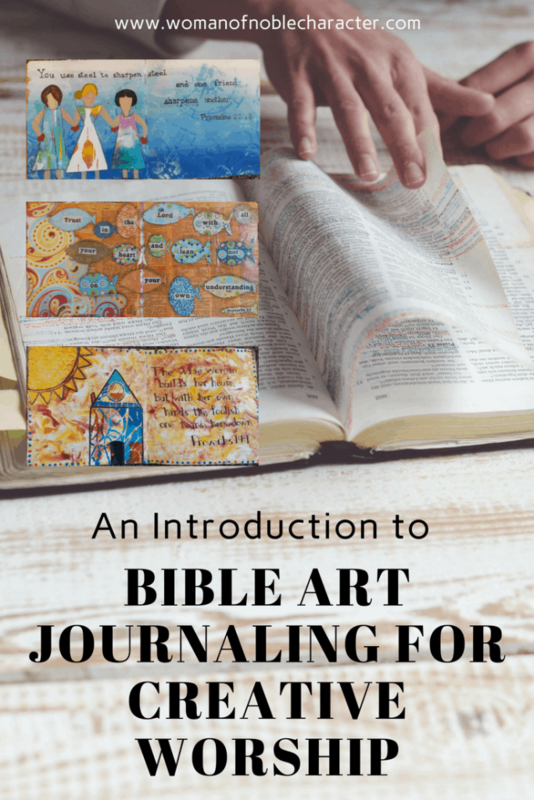 So what is Bible Art Journaling? 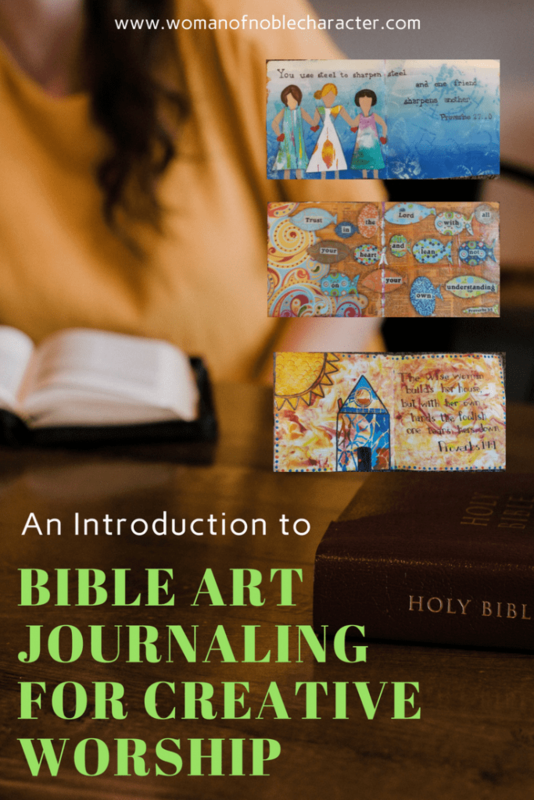 If you aren’t familiar with it, let’s look at what Bible Journaling and Art Journaling are, first. 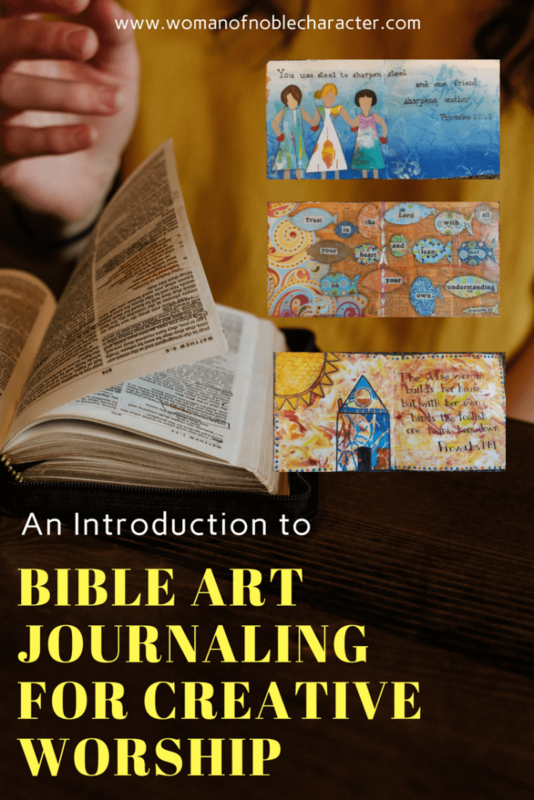 Bible Journaling is journaling in the margins of your Bible by drawing, doodling, coloring, and creating art in your Bible. (This page is a work in progress. I’m still finishing the lettering). An art journal, which can be a sketch book, spiral bound or other journal is a book used to record visual thoughts and ideas. 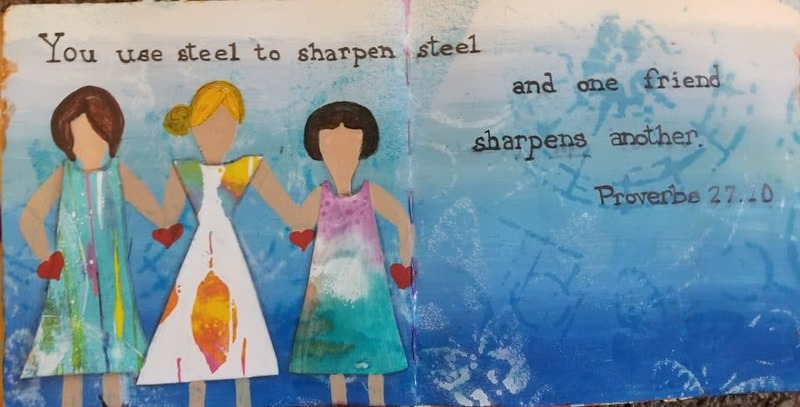 Art journals generally combine visual journaling and writing, to create finished pages. There are no rules and you can use any medium, technique or style imaginable including rubber stamps, rubons, paint, markers, pens, chalks or anything else that strikes your fancy. When you combine the two, you have a beautiful vehicle to express worship and prayer. 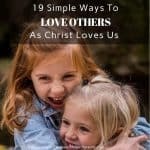 Bible art journaling allows you to use mediums (such as heavier paints or thicker embellishments) that you simply can’t use on delicate Bible pages. 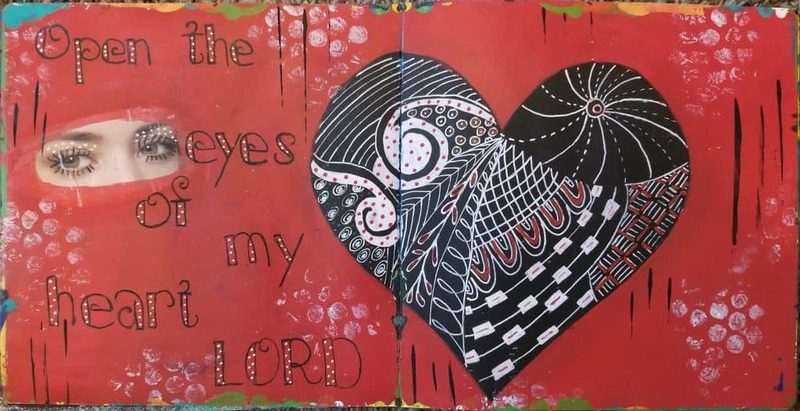 Bible Art Journaling gives you freedom to express yourself without limitations. 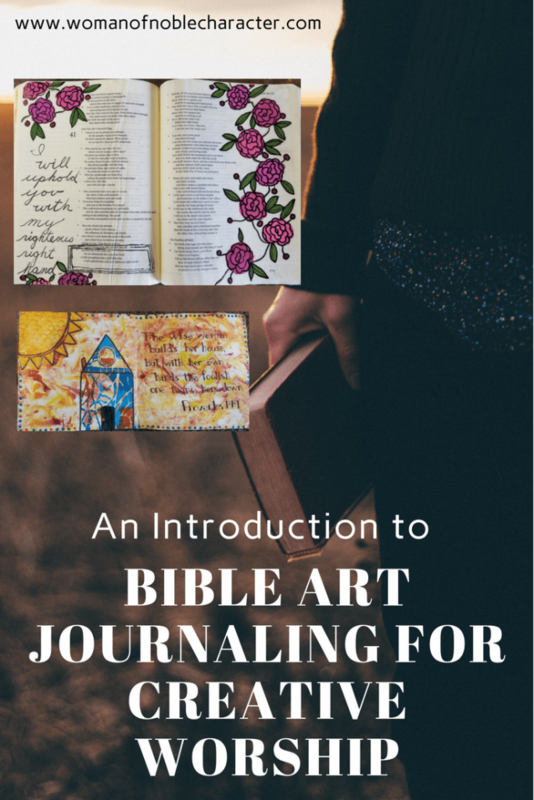 With Bible Art Journaling, you aren’t limited to the margins for your creative expression. Additionally, the pages in an art journaling are thicker and hold up to more types of mediums. It also also provides the opportunity to try a wider variety of art techniques. I find that the time I spend doing Bible Art Journaling, slows me down and helps me to focus on that verse that I’m expressing. For me, it extends and deepens my quiet time with God. Not at all! I do both, depending on my inspiration. If I want to use thicker embellishments or I have an idea for mixed media, I’ll do Bible Art Journaling. 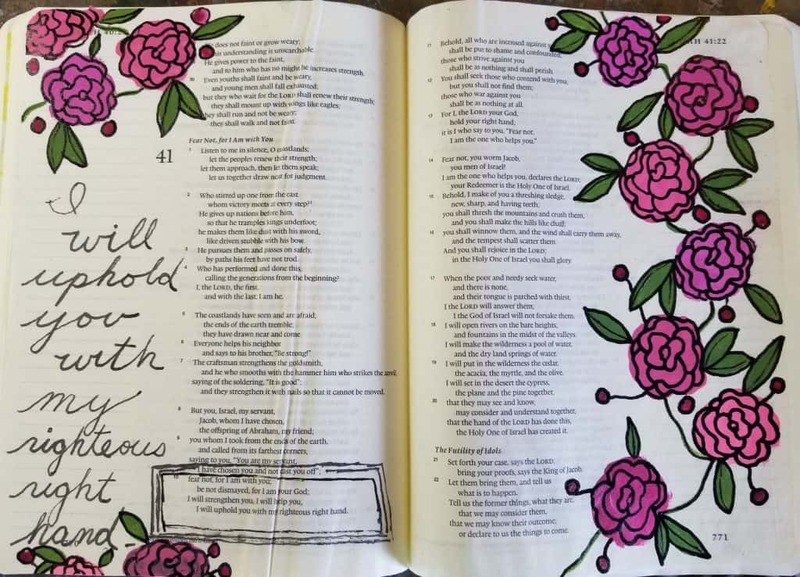 If I’m doing verse mapping, want to highlight one verse and do a simple drawing, I’ll do Bible Journaling. It doesn’t matter which you do, what matters is your time with God, focusing on His Word in a creative way. Do I have to be an artist to do Bible Art Journaling? Not at all! 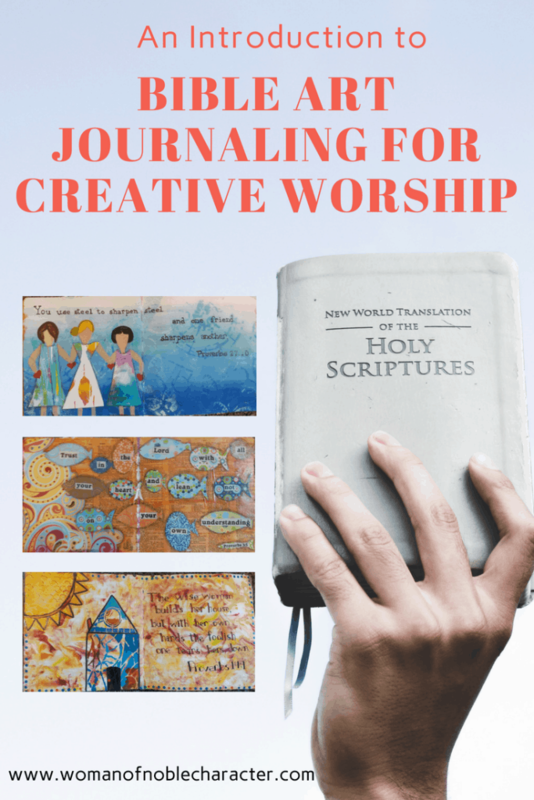 Bible art journaling is a great way to practice new art techniques or simply to give you an outlet for creative worship. 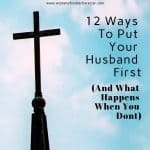 It is about your relationship with God, not something to display in an art show. 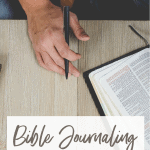 What tools do I need to start Bible Art Journaling? A journal of some sort (my favorite are the ones from Dylusions as they have a durable cover and sturdy pages. They will hold up to nearly anything that you put on them and come in numerous sizes). Many of my favorite tools for Bible Art Journaling are from Stampin’ Up! I’ll be adding to the site over the coming week’s including features such as techniques, ideas and inspiration, kit clubs and so much more! I plan to resurrect some classes that I’ve taught on the subject and add some new ones. 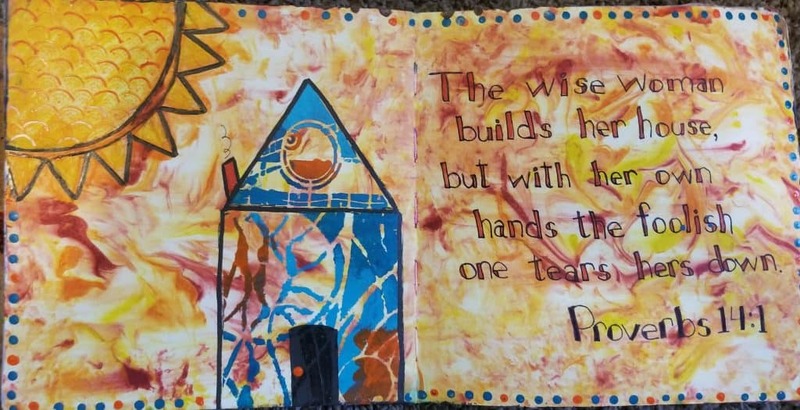 Watch for Art Journaling Through Proverbs and Art Journaling Through the Names of God.